We are excited to announce Jane Boutwell as our April Speaker! Jane is an executive trainer, corporate learning leader, presentation coach, and speech communications consultant at JB Communications. 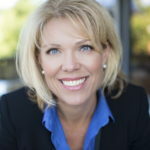 Jane helps companies retain top tier talent through employee training and development. Great communication skills can change how team work together, and help professionals reach the next level in their career. Jane’s expertise is in guiding individuals to optimize the way they communicate so they perform at their best. MindShare is always looking to evolve to the changing needs of its constituents. We’ve evaluated the value of the physical networking and workshops and have determined that taking a digital approach will better meet everyone’s logistical and schedule challenges. To ensure that every MindShare member has access to our workshops, we are going to be switching from in-person workshops to online webinars. We will continue to partner with other organizations throughout the year for in-person networking events. We are also evaluating other ways to maximize the value of future special in-person workshops, so stay tuned for details. To RSVP for this webinar please contact Paris. She will make sure you are added to the webinar promotion list. We hope this change has a positive effect on our member’s workshop experience. Great communication skills can change how teams work together, and help professionals reach the next level in their career. My expertise is in guiding individuals to optimize the way they communicate so they perform at their best. What Will You Be Covering in Your Presentation? Industries across the board face the ongoing challenge of engaging top tier talent for retention. The good news- if you’ve been tapped as top tier talent, or even “high potential” you can expect more pay and increased benefits compared to your counterparts. So, what exactly are the traits that employers look for in top tier individuals? What skills do you need to hone to stand out from your competition? Why Should Portland Professionals Attend? Whether you are job seeking, underemployed, looking to change careers, or satisfying your intellectual curiosity, identify and hone the traits that employers crave in their high potential talent. To stay up-to-date on all pdxMindShare webinars and other Portland-area events, sign up for our newsletter!